The Newbury Historical Society is pleased to offer free look-up and research services. Send an email to info@newburyhistorical.org stating your query and providing as much background information as possible. Members of the Archives Committee will research your request on a time-available basis. If you do not receive a response within two weeks, feel free to inquire as to progress. Newbury (Fishersfield) did not exist before 1772. If you have information that an event happened before that in Newbury, you should redirect your research to Newbury, Massachusetts. The Society's Archives consist of town records maintained and protected by the Society under a memorandum of understanding with the town, as well as ephemera and photographs donated by residents and friends. The earliest records date from the town's incorporation in 1778. Between 1772 and 1778 some names and land records are available. Some early settlers recorded the births of children born elsewhere before their arrival in Fishersfield. 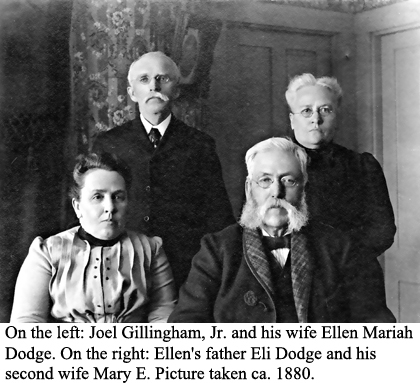 Extensive research has been done on the descendants of James Gillingham who came from Danvers, Mass. in 1783. All families recently researched are listed here. In the spirit of information exchange, the Archives Committee welcomes copies of genealogies and manuscripts. If you have old pictures of Newbury places and people, the Committee would appreciate the opportunity to make digital copies. And, of course, donations which meet our collections criteria are gratefully accepted. The Society's archives are open to the public for research by appointment. Contact the Archivist by phone or send an email to info@newburyhistorical.org .